MVP awards are handed out as well as a quick glance at some 2018 players to watch in Fry’s season finale. Thank god. Fantasy season 2017 is done and dusted. For all my bitching and moaning I’m sure I’ll be one of the first to sign up for next year along with the seven of you who read this offseason post. Round 23 summed up the season perfectly with some premiums letting us done for a change and Lance Franklin pulling a ‘Riewoldt’ on us with a mammoth 171 to claim the Norm Smith medal. It’s time to hand out some hardware to the players who went under the radar for the entire season and made the lives of coaches across the globe all that much easier. Despite their production, these winners still managed to finish the season with under 10% ownership. Had Michael Hurley not missed the final two games, there is a high possibility his average and his ownership would be higher with Fantasy friendly games against the Suns and Dockers. That didn’t stop him from having a career year that included eight scores in triple figures and two over 120. The high flying Howe earns 2nd place honours over the field thanks to a high ceiling and the ability to crack 100 (seven times) for his faithful coaches. Only nine players averaged more points than Duncan in 2017. NINE! That is straight up ridiculous, how was he owned by less than five percent of the comp!?!? Duncan also managed to finish 11th in total points in the competition, yet coaches were reluctant to pick him up all season. Those that did were rewarded with extreme consistency (16 of his 21 scores between 90-120) and his ability to go massive as well with the 6th highest score of the year in Round 9 (169 vs the Bulldogs). Matt Crouch is somewhat unlucky after his killer second half of the season, averaging above 114 over his last 10 games since his bye. Crouch capped it off by pumping out a 150 in the Grand Final, but this award has Duncan’s name all over it. This award was Witts’ for the taking as the season wound down, but an injury forced him to miss the final four games, impacting both his points total and his ownership. Therefore, with a 122 on Fantasy Grand Final day, six other 100+ scores throughout the year and the ability to play every game your ruck POD MVP is ‘Big Boy’ McEvoy. Sauce Jacobs managed to bump his average just over 10% in the final few rounds, making him ineligible as well, but in a field scarce of viable options, McEvoy stands tall (pun intended) as the MVP. The forward who had the 4th highest amount of points was only in 7% of teams at the end of the year. To make matters worse I dropped him after three scores of 75, 61 and 47 to start the year. Billings came into his own after that though (you’re welcome all 10,595 Billings owners) and like all Fantasy guns, took his game to another level for the finals, averaging 116.5 over the last four games of the year. Brad Hill provided some coaches and Freo fans something to smile about as he produced career high numbers and six scores over 110. Jack Billings is a deserving forward MVP though and he will come at a high cost next season. I’ll allow someone more qualified than myself to dig into the rookies more, but the likes of Jake Waterman, Nathan Freeman, Darcy Cameron and those other cash cows who managed a game or two will be high up on every coach’s must have list. 2017 wasn’t a happy hunting ground for premiums like Dan Hannebery, Max Gawn, Joel Selwood and the illustrious Tom Rockliff. All four are shaping as steals in season 2018 along with the like of Steven Motlop, Jason Johannisen, Todd Goldstein, Jack Steven and Heath (Headache) Shaw……OK forget Shaw. Finally, I’d like to thank all the fans and c0-workers for their support in season 2017. I’m happy to call myself a part of the DT Talk family now and fingers crossed I can uphold my reputation with a much better season next year! 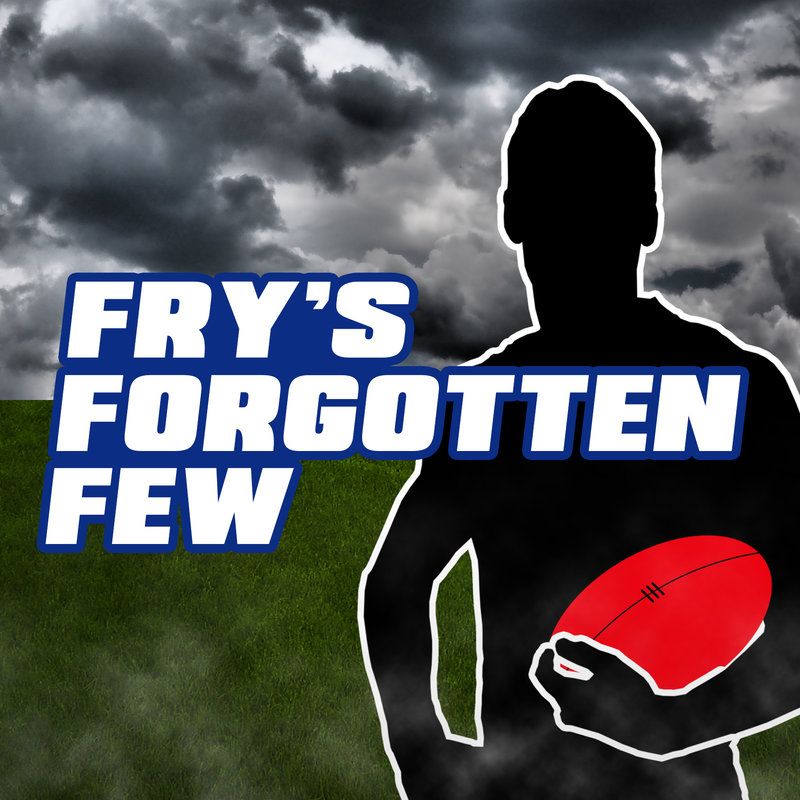 If you’re looking for your sporting fix during the bleak ‘non-AFL’ months make your way across to my own site SportsbyFry for all the happenings in sport across the globe! I think Betts deserved to be selected, he’s probably the best small forward in the comp, but there were definitely some head scratchers. Yeo, Selwood and Gray I’m looking at you! Thanks for all the time & effort that you put into your articles Fry. Look forward to seeing you back next year. Thank you for your help during the year Fry. Catch you again next year. Thanks for the seasons work!! I started with billings too and dropped him the week he went 151!! One of my favourite articles each week, well done and thanks mate, see you in 2018!